Welcome to the Troubadour Volunteer Family! When the Troubadour Concert Series started 20 years ago, we envisioned a grassroots, all volunteer community run project overseen by a bunch of tie-dyed, sandal wearing, post retro hippie freak music lovers disguised as lawyers, architects, web designers, teachers, moms, dads, students and musicians that would bask in the graces of whatever the hometown would offer. Well, our hometown has offered an abundance of support that keeps our series alive, healthy and ticket prices as low as possible. Aside from Highbridge Spring Water and our media partners we have many other businesses that support the series. Local restaurants feed the crews and artists, James Motor Company provides a beautiful SUV to pick up the national level artists from airports and to-and-from their hotels, and more. However, the heart of the series is the family of volunteers, our TroubaCrew, that take tickets, seat the audience, pack and unpack sound trucks, run cables, set up PA equipment, pick the artists up from hotels and restaurants, sell ads in the Troubadour Program, mail press releases and, the case of the Kentucky Theatre, hand number each ticket before they are sold. 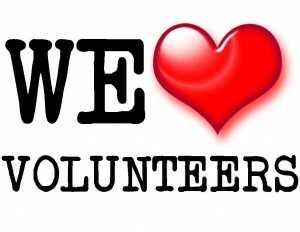 Would you like to be a Troubadour Volunteer? They get to attend every show free of charge, hang out with “good looking and interesting people” and meet national level musicians and songwriters. To become a Troubadour volunteer, email us at TroubaConcert@aol.com, place VOLUNTEER in the “subject” heading, and include your complete contact information including address and phone number.